On the surface, we had a successful week. Journeying back into the Parched Dunes, we fought with a quartet of basilisks near a salt lake, and defeated them with long-range spells and archery. Then, we fought with a desert drake, and defeated it, although that looked scary for a bit. - a rookie caravan guard named Tullin, found near the salt lake. She&apos;d been abandoned by a westbound caravan from Tephu and left to wander for days. - Ashmenak, an adventurer from Sothis. She&apos;d been petrified by the basilisks, but her statue wasn&apos;t eroded by the 30 years she&apos;d been frozen. - Anhakht, a mounted warrior from 1160 years ago. Amestri&apos;s taken over interviewing him about his life and times. On the other hand, Ostog&apos;s been acting a bit worse for the wear after some short, dry nights. Khismia&apos;s got something bothering her, too. Hadia suspects Tullin&apos;s up to something, though she has been nothing but helpful in camp chores. Hadia&apos;s trying spells to get to her secret, but to no success. We spent 11 days on the river to the Parched Dunes. Once we began exploring, we met a group of gnoll slavers. We defeated them and took the ex-slaves to Ipeq (4 days). After returning to our search for the tomb of Chisisek, we lost a camel to a bulette, had a nice conversation with a shedu, and then ran into a behir. It ate Jes. We killed the behir, extracted Jes&apos; body, and took her back to Ipeq for a Raising. Since then, we&apos;ve returned to the riverbank where we&apos;ve disembarked before, and are thinking about exploring northeast, even though Pharasma suggested north-northwest would take us to where we wanted to go. I apologize but this summary is more summary than narrative, just like the third summary. It is also incomplete and unedited but I will go back and complete at some point. Light snoring was coming from the bundle. The man was leaning back on a large pack with a hat pulled down over his face to keep the sun from his eyes. He slowly looked up but showed no sign of surprise or a concern. "No. I&apos;m Frank. Don&apos;t know anyone by the name of Braford or Talgen." "Well, that&apos;s disappointing," frowned Quinn without realizing how rude that sounded. "So what are you doing here, sleeping during the day, next to a potentially Goblin filled ravine in the middle of adventure?" Derrick wasn&apos;t sure such a person could be trusted but could probably handle himself. The armor the man wore lent credence to that view. Not expensive but well worn and still in good shape. "Well, I did not know about the Goblins but that makes sense for the tracks I saw. Personally, I was just heading to Oakhurst. Heard that good trackers and wilderness guides are always needed. Did you need a guide?" Frank smiled at the various members of the group. None smiled back. "You know your way around these parts then?" asked Trinique. "No, not particularly but I am learning. I can swing a sword and shoot a bow though and generally, I don&apos;t get lost in the woods." "Sounds good enough for me", Jax chimed in. He extended a hand and helped the man to his feet. Trinique mumbled under her breath, the portions of potential treasure appear to be shrinking every day. Candy heard and nodded in agreement. Jax, Frank and Derrick began tying a new 50’ rope to one of the pillars. Party explains the situation to Frank.Frank volunteers to go into the hole and to the first ledge to scout it out. Rats start coming out of the holes. Party remains at top firing arrows. Frank gets bitten multiple times. Quinn rolls 1 and slings her sling into the ravine. Quinn, looked at the existing rope and the one that Frank had used to get down to the platform. If no one went down, the newest member of the party was sure to die. "Don&apos;t worry Frank, I am coming." Though she had never rappelled before, she remembered how the builders in Brindol scurried like monkeys on their long ropes and clambered over rickety scaffolding. Surely this could not be so hard. She stepped over the edge began her descent before Trinique could caution her otherwise or let her know that tying the rope around her waist might be a good precaution. Arrows from her companions whizzed by her head and she felt as if she had been doing this sort of thing her entire life. That us until her foot caught on the side of the cliff wall, sending a shower of stones down upon Frank and the rats. "Look out down below," she said, smiling at her own wit. But that lapse of concentration was too much, her hands slipped then lost their grasp, she tried to recover but as if in slow motion, she fell the last thing she saw before closing her eyes to avoid the impact was Frank succumbing to the bites of the rats and him collapsing. She did not hear herself hit the ground but she did with a horrific smack and then lay unmoving. The group was stunned. Did two members of the troupe just die? I apologize but this summary is more summary than narrative, unlike the first two. It is also incomplete and unedited but I will go back and complete at some point. Here is a link to the image summary I shared at the beginning of Session 3. “Let’s find an inn and see what we can find out,” said Trinique. The group sullenly trod into town. Quinn fed Daisy a carrot and smiled at the old draft horse. She and Daisy were just happy to be in Oakhurst finally. 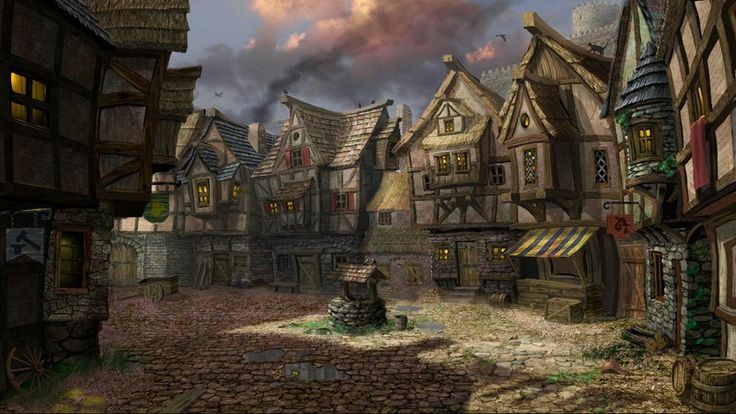 From the townspeople at the edge of town, the group had found out that the only inn and tavern in town was the Ol’ Boar. Just like the name of the town was a misnomer (there being precious few oak trees), the tavern was not named for a wild pig but Reslin Kine’s former adventuring partner, a Half-Orc named Gramogasha Oakhurst. Apparently, she had retired when Reslin died and set up this tavern and inn instead. She has long since died and ownership passed to a wealthy family in town. The inn was crowded with townspeople discussing the events of the past few days. Cattle and goats were already disappearing in greater and greater numbers, driving most to keep a close watch on them. Those that were found were occasionally partially eaten by wild animals, but all exhibited strange puncture marks, scrapes and twigs inside those punctures. Ala adjusted in her chair and hunched towards Derrick. "Well, you know, I do remember a story about the Red Hand. It was a cabal of necromancers in Rhest. They were secretive but eventually wiped out by the Paladins of Erathis and Bahamut. If they have crawled out of the ruins of Rhest, that is bad news for all of us. However, it makes sense that necromancers may want an item that restores life." Derrick nodded and looked over at the newcomers. They had clearly heard Ala&apos;s explanation. Time to find out more about them . . . The group spent the next several days waiting for news of the Hucrele’s and gathering information in town. The villagers were generally welcoming but many expressed concern that the peace party would not be well received, and Goblins would descend upon the lightly defended town. The Constable, Felosial, spent much of her day re-assuring nervous townspeople. However, she was not too busy to notice that the new strangers had taken up with Derrick, whom she did not trust. Garon, the barkeep at the Ol’ Boar was particularly useful. Besides showing Sparrow the statue of Reslin Kine, Gasha Oakhurst and Rowan Nackle in the center of town, he tells the group of the last traveler he knows of who went to the Sunless Citadel. It was a grim human named Belak or Belchek, thirteen years ago. What Garon remembers most is the huge frog that he carried everywhere with him. 1. The Goblins appear to be camped in the Sunless Citadel. No one knows for sure what the Sunless Citadel once was, but legends hint that it served as the retreat of an ancient dragon cult. 2. The old road there skirts the Thornwaste. The unnatural desert is attributed to the long ago rampage of Tiamat herself. It is now ruled by The Ghostlord and no one goes there unless they want to be condemned by him. He is a bogeyman of whom many a parent warns their wayward child. 3. Cattle herders don’t graze their stock too far afield these days. They’re frightened by stories of new monsters that maraud by night. From time to time, cattle and people who have gone out alone at night have been found dead the next day, bearing dozens of needle-like wounds. No one has seen the creatures that cause this mayhem, nor do they leave a discernible trail. 4. The missing adventurers include a fighter (Talgen Hucrele), a wizard (Sharwyn Hucrele), a paladin of Pelor (Sir Braford), and a ranger (Kara¬kas). Sir Braford was not a local, and he had a magic sword called Shatterspike. “I think we should try to figure out what is attacking livestock. I have a theory,” announced Quinn. Appearing from around the camp shambled six creatures, best described as small walking trees. Each was about five feet tall and creaked and snapped as it walked towards the center of camp. Sparrow was quite enamored with the Gnome witch, Helda. She was a Dennovar graduate so he had not expected too much but she was very friendly and more importantly, smart and open to his questions. Plus, she knew more about Reslin Kine than did he. She and her sister, Corkie Nackle, were the daughters of Rowan Nackle and while neither had ever met Reslin, their father spoke often of the old adventurer. Sparrow was determined to use the time he spent with her well even though he wished he was with the rest of the group. However, if they were to successfully find and get into his great grandfather’s tomb, it would require as much knowledge as possible. One thing he could not seem to find out was what a Sryix was. The only description was an item of immense pride and value to Reslin. Why do I have a cow bell?